Crackling Drake + Arclight Phoenix… In Modern? Arclight Phoenix has contributed to many Modern builds already, despite a relatively short lifetime. It’s been a Delver of Secrets add-on. 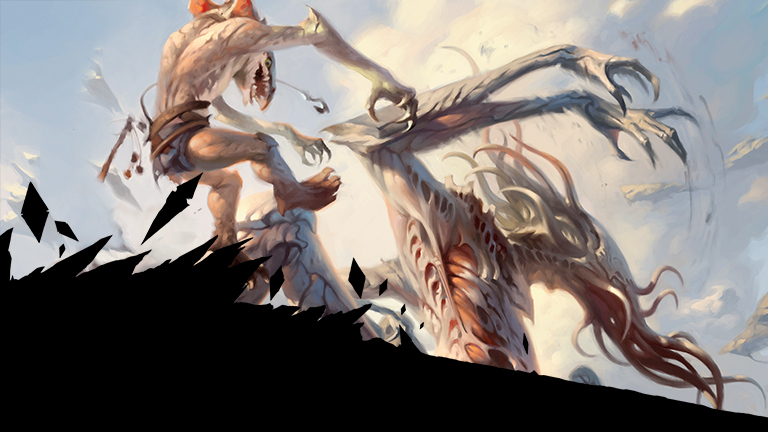 It closes out games for the Mono-Red deck. And of course the centerpiece of a cantrips-rich Izzet strategy. What might surprise you is seeing Arclight Phoenix next to Standard Staple Crackling Drake! Crackling Drake is of course capable of enormous power. The Izzet decks are heavily instants and sorceries, most of which are cantrips that replace themselves… With more cantrips. But did you know that Surgical Extraction can play Giant Growth in this strategy? You can Surgical Extraction your own instant. This will not only put an additional instant or sorcery into your graveyard (the Surgical Extraction)… But you can search your library for up to three more copies of the targeted card. Because Crackling Drake feasts on cards in exile as well as the graveyard, Surgical Extraction can serve as a powerful pump trick. Subtly, Crackling Drake also serves as some defense against Rest in Peace. Rest in Peace, Leyline of the Void, etc. 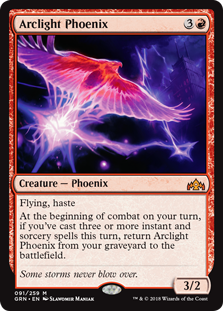 can blunt the efficacy of your Phoenixes and flashback cards… But Crackling Drake is okay with its food being exiled. You don’t want-want to play against some of these cards, but the Drake does give you a bit of protection. What about Gut Shot + Arclight Phoenix? Gut Shot is kind of a narrow card. But when you play four copies of Faithless Looting, you can kind of play more conditional cards. If Gut Shot isn’t good… You can always get rid of it. But that said, Gut Shot is very productive for launching Phoenixes on turn two. Imagine you play a first turn Faithless Looting, discarding double Phoenix. On turn two, you can plausibly play a Thought Scour, a Sleight of Hand, and then finish the play with a zero mana Gut Shot. Take seven! If nothing else, Gut Shot can team up with Lightning Bolt to take out four toughness creatures.